Much of who we are and what we cultivate at Dartmouth comes from the natural environment around us. Therefore our color palette is inspired by where we study, work, and play. Forest Green, Snow White and Midnight Black are our secondary colors, and their use is always paired with Dartmouth Green. 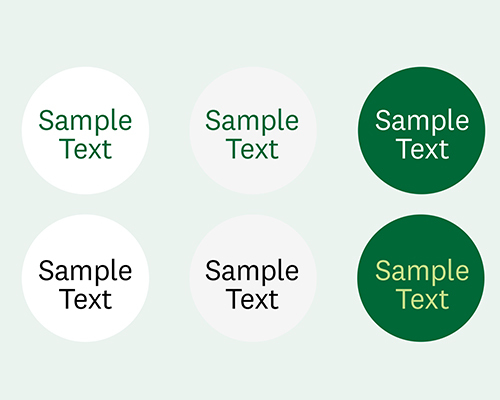 When color beyond the primary and secondary palettes is needed for distinction, the tertiary colors can be used, but cannot overpower the use of Dartmouth Pine Green. Following web accessibility guidelines ensures that everyone, regardless of disability, will be able to use our websites. We have developed a web palette that meets WCAG (Web Content Accessibility Guidelines) standards and maintains consistency with the Dartmouth brand. 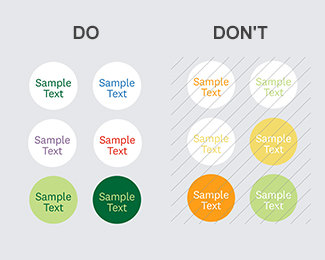 When creating content for Dartmouth’s websites, please adhere to the color palette and recommended text and background color combination examples below. In the secondary web palette we have added shades of gray, a useful addition for creating web content. The tertiary colors should be used sparingly, for buttons and links only. We recommend these text and background color combinations for the main pages and primary elements of the site. We recommend these text and background color combinations for secondary webpage elements. 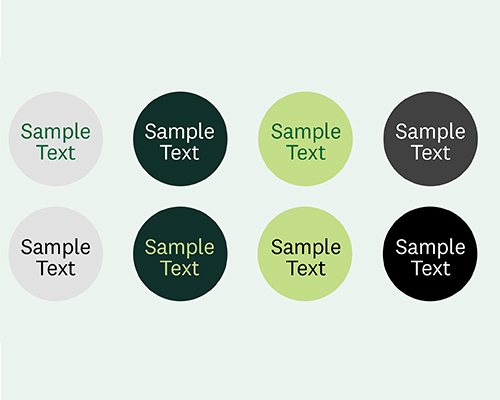 We recommend these text and background color combinations for buttons, links, and call outs on web pages. 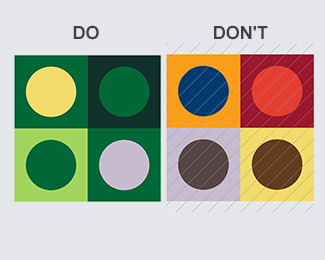 The Dartmouth palette should not be altered in any case. 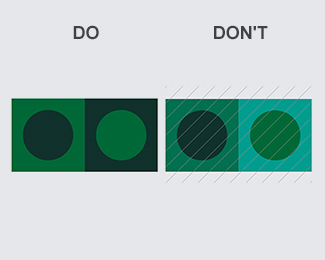 See below for specific examples of dos and don'ts. Don't use Summer Yellow, Spring Green, or Bonfire Orange on the website with Snow White. These combinations do not meet WCAG standards and are not legible for everyone.